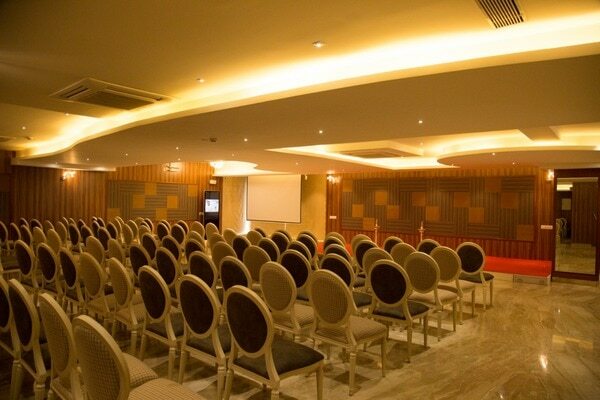 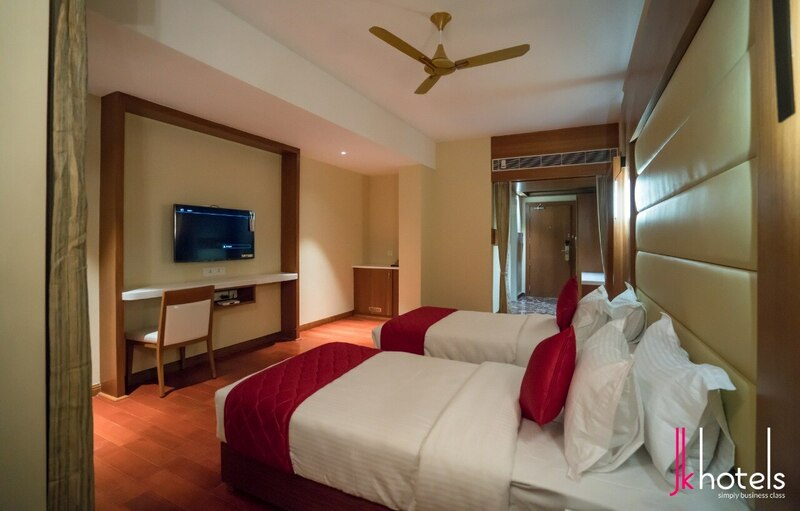 JK Hotels Provides Executive Rooms which is suitable for corporate Guest. 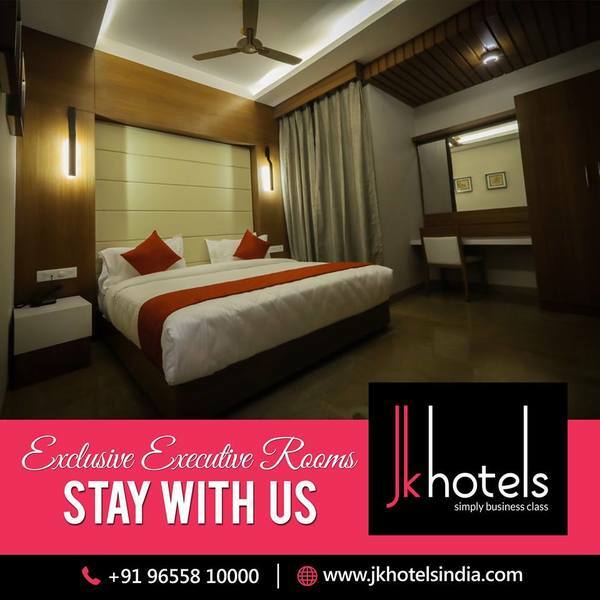 Jk Hotel Executive Rooms includes Wi-Fi, Daily News Paper, Wake up Services, Complimentary Water Bottles, Tea & Coffee Maker, Mini Refrigerator, Mini Safe Electronic Lockers HD Cable Connections and Well Designed Bathrooms. 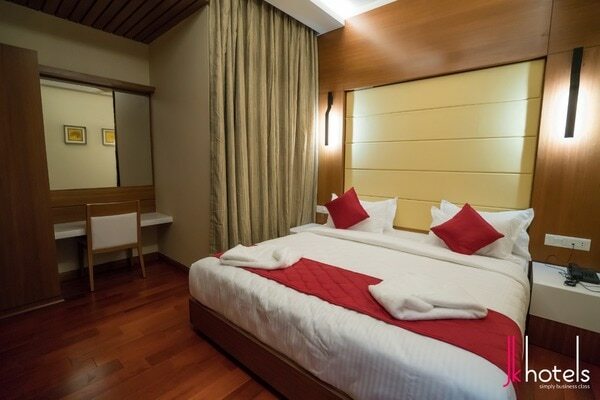 JK Hotels also have the facilities of Under Ground Car Parking.